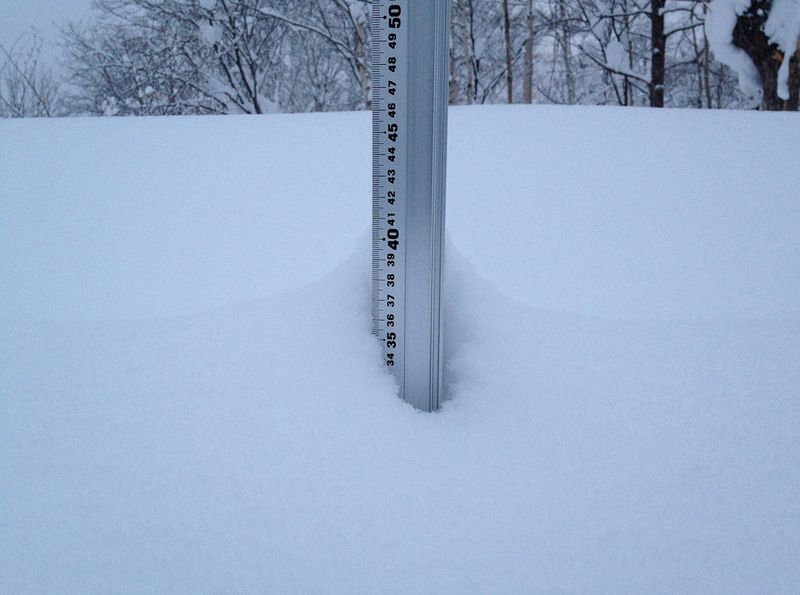 *22cm of fresh snow has fallen since yesterday morning and at 6:40am today the temperature was -5°C. Last night produced intermittent snowfall and wind gusts. Center, the highest ski run you can ride in Hirafu at night, and also one of the most ridden of the mid-mountain runs because it’s usually the first open in the early season and one of the last to close down in spring. Get their early for the freshness and you can spend a good few hours speeding down the wide run area or bash it through the trees on either side. After that a few shots at Furiko and Kokutai should round the morning off, ready to head to one of the on mountain restaurants for a ramen.